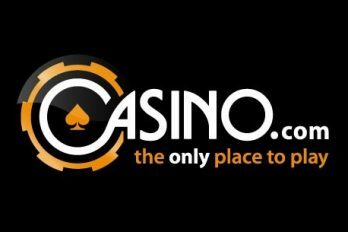 Casino.com was only formed in 2008, when its domain was bought by now owner Mansion Group Casinos. For almost a decade before that, the website was used as an advertising site for the promotion of gambling pages. Now, it’s all about casino.com offering the games and promotions – and they’re bringing their expertise to the Irish casino scene! As mentioned in the introduction, Casino.com has dedicated to providing games and promotions itself for just eight years. The software on the site is provided by industry leading experts Playtech and because of that, players are treated to a website of the highest quality. Despite its short history, the domain is a powerful one in SEO terms, helping to propel the website to the top of some of the most used search engines in Ireland. Casino.com has a range of games for players to enjoy. The site has over 100 games and categorises each one into the following genres: Online Blackjack, Online Craps, Online Roulette, Online Slots, Live Casino, Video Poker, Arcade Games and Slot Games. This helps players to easily navigate their way to their favourite genres and is ideal for those who know which type of game they want to play before logging onto the site. Players can also use ‘practice mode,’ an option that allows novices to learn and understand the rules of games before placing real money on them. With Playtech as their software provider, Casino.com’s in-play is as you’d expect from an industry expert. Players can bank on the website being quick and reliable, both on the website and whilst playing one of the casino games. Punters have the choice of playing on the flash-based instant version from the website or downloading the game. Those that decide to download the game will see a dedicated desktop casino, making it even more accessible for players to access their favourite games. Casino.com blows competitors out the water when it comes to promotions. Let’s prove that by describing players’ welcome offer; a %100 bonus of up to £100! The upgrade is 100% of players’ deposit amount, making it even better! The website has a dedicated section on their site to their promotions, with a range of deals being shared on the page daily. It’s sensible for players to favourite that page as cash upgrades, free plays and free bonuses are available 24/7. Casino.com has a wide variety of options for players to use when depositing or withdrawing. The website accepts standard payment cards including VISA, MasterCard and Maestro. As well as the option of making a bank transfer direct to their Casino.com account, players can also deposit or withdraw using EntroPay, EcoCard, paysafecard, Citadel Internet Banking, Skrill, NETELLER, Ukash, Click2Pay or Click and Buy. Casino.com provides customer support 24/7 via their email address at support@casino.com. Players can also talk to the customer service team via a live chat option or call them, free of charge, on their telephone number, 0808 238 6049.